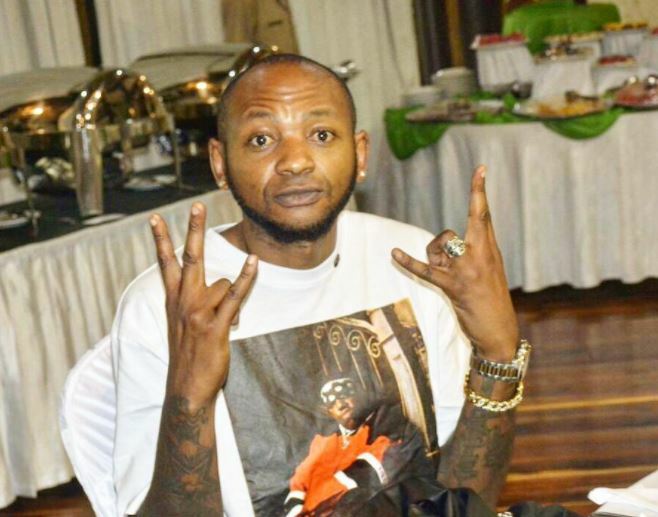 Controversial Kenyan rapper Colonel Mustafa was over the weekend involved in a road accident. Mustafa, who doubles up as a cast member of reality television show ‘Nairobi Diaries’, took to social media to reveal he escaped unhurt. 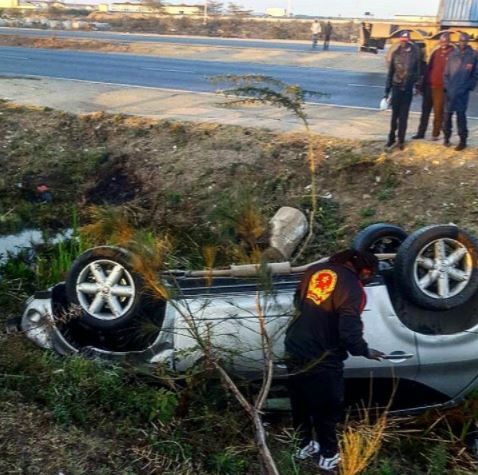 The ‘Loboko’ hitmaker also shared a picture of the overturned vehicle he was traveling in when the accident happened. The picture shows the saloon car in a ditch somewhere along the Mombasa highway. The cause of the accident remains unknown but according to unverified sources, it might have been a case of drunk driving.